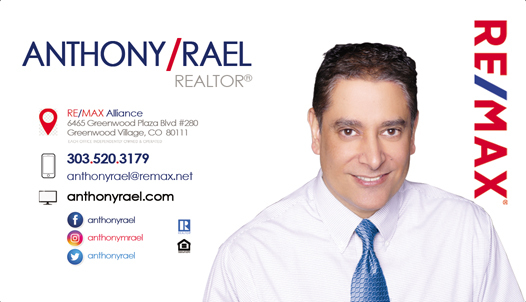 Whether you're upsizing to a larger home, an empty-nester looking to downsize, relocating or transferring to Colorado, first-time homebuyer, a VA Buyer looking to use your VA benefits or an investor looking for rehab properties, you'll want to work with an honest, trustworthy & professional REALTOR® who will provide expert local real estate advice & counseling, contact rated Denver REALTOR® and top-producing agent with RE/MAX Alliance - the #1 Residential Real Estate Brokerage Firm in the Denver metro area - Anthony Rael at 303.520.3179. 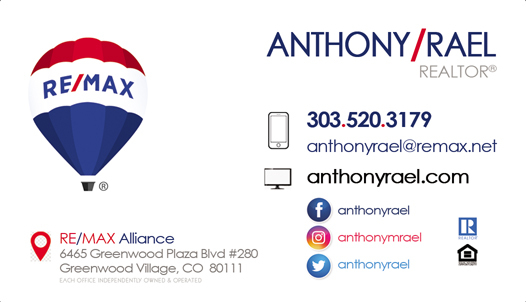 We have 23 RE/MAX Alliance offices throughout Colorado + my RE/MAX network has more than 120,000 agents in over 100 countries. 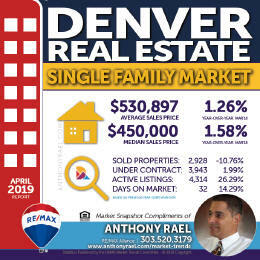 Educate yourself using City & County Market Reports and Market Statistics &Trends to learn more about Denver's hot real estate market and how the changing marketplace may impact your ability to buy and sell. 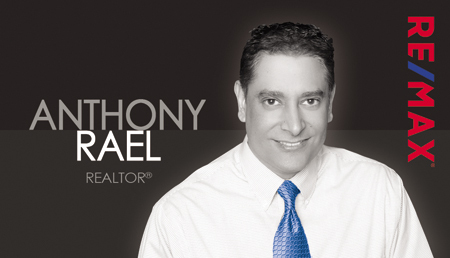 Anthony Rael works with expert mortgage professionals to ensure you get the best mortgage loan with the best terms - check out home loan options and get pre-qualified for a home mortgage now! Gain instant access to Colorado's hottest new home listings, new home construction, resale single family homes, houses, condos, townhomes, lofts, new home communities, custom homes, short-sales, bank-owned and HUD foreclosures for sale in Arvada, Aurora, Boulder, Brighton, Broomfield, Castle Rock, Denver, Erie, Golden, Highlands Ranch, Lakewood, Littleton, Lone Tree, Louisville, Parker, Thornton, Westminster, Wheat Ridge. 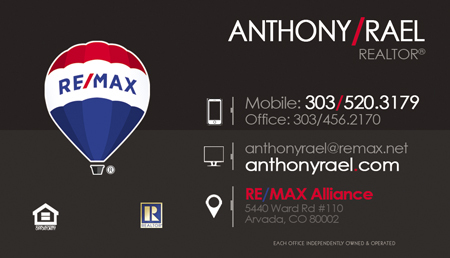 Be sure to download my RE/MAX Home App and get instant MLS listing notifications delivered to your phone. If you or someone you know is a LOCAL/HERO in our community, 'Call Ants' and ask about our LOCAL/HEROES cash rebate program specifically designed for Teachers (Pre-K, elementary, secondary and post-secondary); Active military, reserves or Veterans (including surviving spouses) of the United States Army, Navy, Air Force, Marine Corps and Coast Guard; Firefighters; Paramedics; EMT's; Police Officers / Law Enforcement and other first responders; Nurses, Doctors and other healthcare professionals. Thanks for all you do for our community!